Fishpond Gore Range Tech Pack. Lightweight with versatility and expandability. Adjusts to fit all weather conditions. Zip-down fly benches have mesh expansion pockets for tippet spools. Large mesh back pocket with additional horizontal zippered pocket for stowing extra gear. 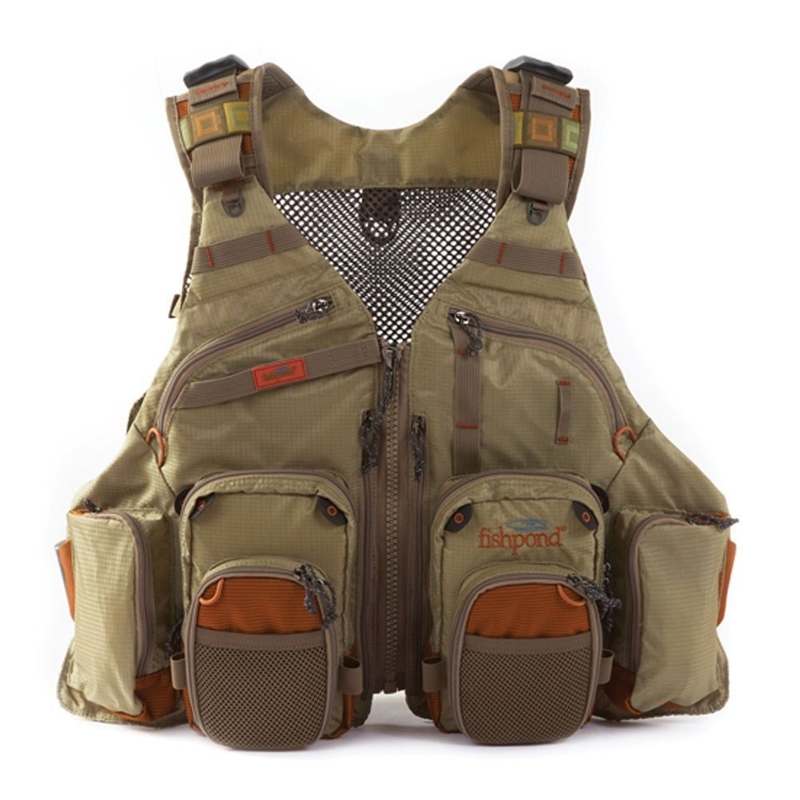 It's really a vest, but it has the versatility of a pack. Light, but with more pockets than you can shake a stick at, the Gore Range Tech Pack was designed to accommodate multiple fly boxes in a variety of sizes, plus give you easy access to those go-to patterns by via either of two molded zip-down fly benches. A mesh back keeps you cool, and the numerous tabs and cord loops mean you can trick it out with favorite accessories. No need to do without anything you might need on the water. Easy transaction and fast safe delivery value for money purchase too cant ask for more! Excellent product.Good prices fast delivery. I bought two of these as the price was great and its just what I needed for both fishing and shooting. My son and I are big blokes 54 chest and this had enough strap capacity to fit comfortably over the foul weather gear.